(VEN) - Vietnamese President Tran Dai Quang and his spouse led a high-ranking delegation to pay a state-level visit to Italy from November 21-25 at the invitation of Italian President Sergio Mattarella. This significant event has contributed to strengthening the strategic partnership between the two countries and is expected to boost bilateral trade and investment in the coming time. According to the Ministry of Foreign Affairs, Vietnam and Italy officially established diplomatic relations in March 1973. Since then, bilateral relations have expanded continuously in a wide range of fields. 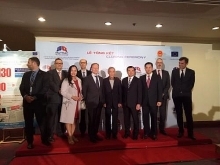 Italy was the first West European country to support increased cooperation between Vietnam and the European Union in international forums. The two countries regularly exchanged high-ranking delegations in recent years to strengthen bilateral cooperation. On the Vietnamese side, apart from Party Chief Nguyen Phu Trong’s visit to Italy in January 2013 and Deputy Prime Minister Hoang Trung Hai’s visit in September 2013, former National Assembly Chairman Nguyen Sinh Hung visited Italy in March 2014, and Vietnam Fatherland Front Central Committee Chairman Nguyen Thien Nhan in July 2015. On the Italian side, Defense Minister Giampaplo di Paola visited Vietnam in January 2013; Vice President of the Chamber of Deputies Marina Sereni in January 2014, Prime Minister Matteo Renzi in June 2016, and former Prime Minister Enrico Letta in January 2015. High-ranking Italian leaders affirmed the determination to promote multifaceted relations with Vietnam. The Italian government has listed Vietnam among the 10 emerging markets to boost trade and investment with. Economic relations between the two countries have thrived in recent years. According to Vietnamese Commercial Counselor in Italy Bui Phuong Anh, bilateral trade increased from US$1.13 billion in 2006 to US$3.3 billion in 2013 and more than US$4.3 billion in 2015. Last year, Vietnam exported to Italy more than US$2.86 billion worth of products and spent over US$1.46 billion on imports from this market. By the end of 2015, Italy ranked 18th among Vietnam’s trading partners; among EU countries, Italy was Vietnam’s fifth largest export market and third largest import market. According to the Ministry of Planning and Investment, by the end of this October, Italian businesses have invested in Vietnam through 77 projects with total registered capital of US$356.6 million. Italy currently ranks 31st among 115 countries and territories investing in Vietnam. In the first 10 months of this year, Italy stood at the 25th position among foreign investors in Vietnam, with 10 new projects capitalized at a total of US$37 million. Italian investment covers 11 out of 21 sectors of the Vietnamese economy, focusing on processing and manufacturing industries. 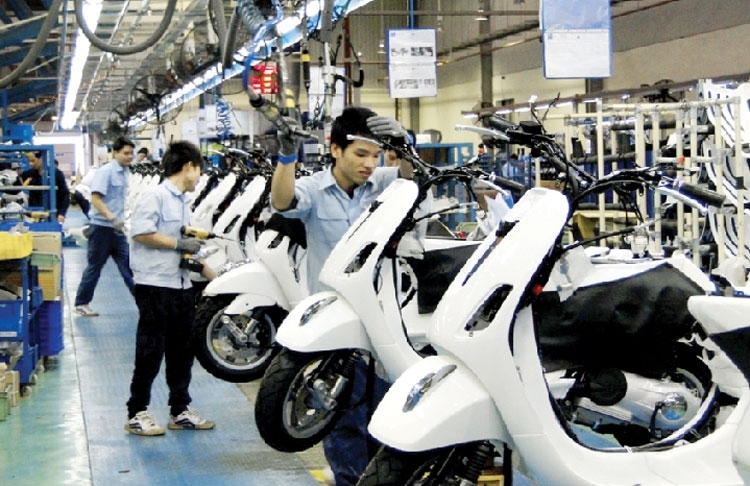 Major Italian investors in Vietnam include reputable manufacturers such as Piaggio (motorcycle), Datalogic (scanner), Bonfiglioli (engine), and Ariston (water heater). Both Vietnam and Italy are active members of the United Nations. The two countries have established a strategic partnership and share many cultural similarities. President Tran Dai Quang’s visit to Italy has given a boost to bilateral relations in a wide range of fields, especially economic cooperation.